CUNNINGHAM, Allan. 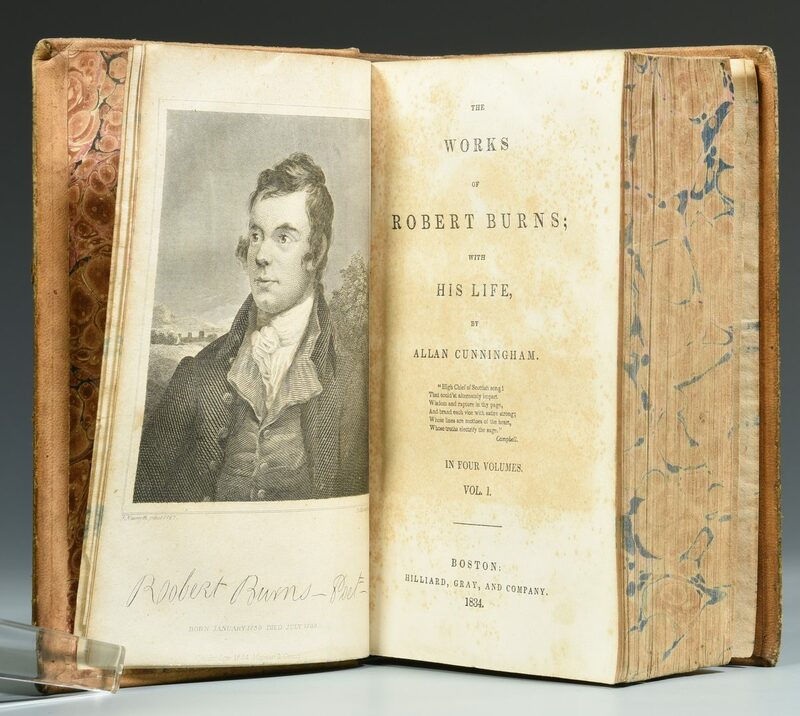 The Works of Robert Burns; with His Life. 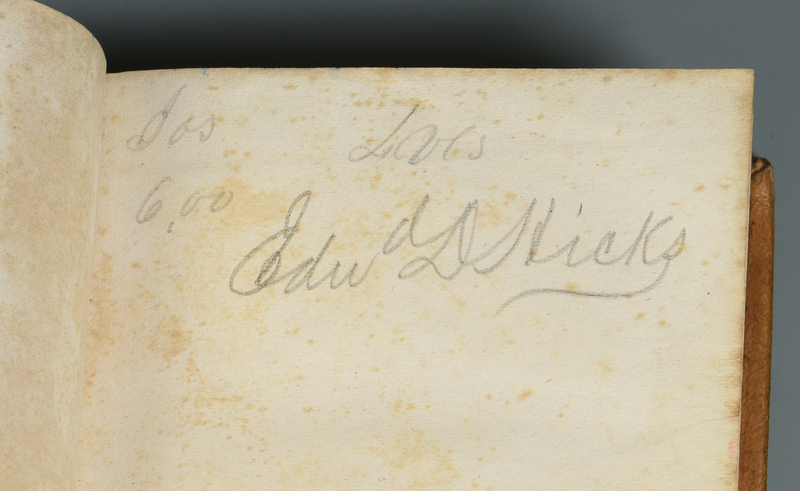 Boston: Hilliard, Gray, and Company, 1834. 4 X 6 1/4 Inches (Octodecimo). 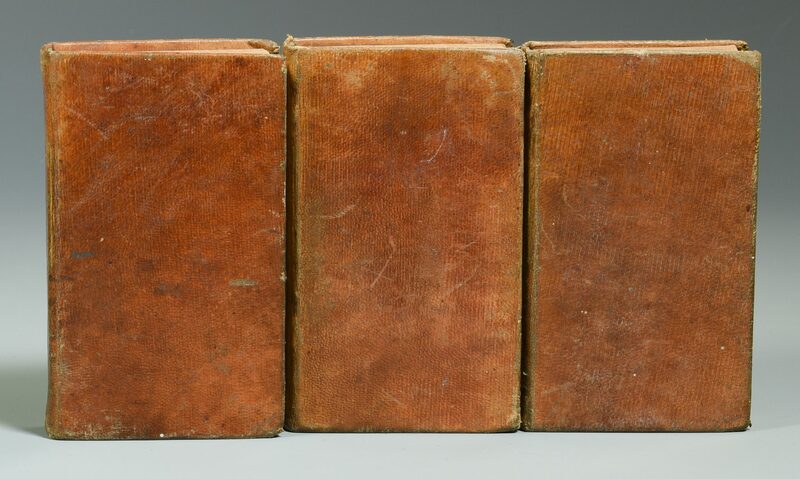 Four Volumes Complete (Vol. 1 – 522 pages, Vol. 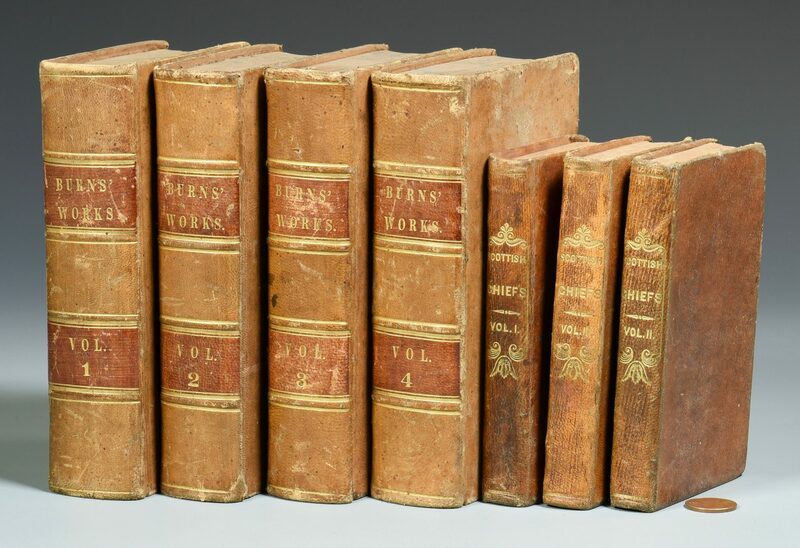 2 – 454 pages, Vol. 3 – 471 pages, Vol. 4 – 525 pages). 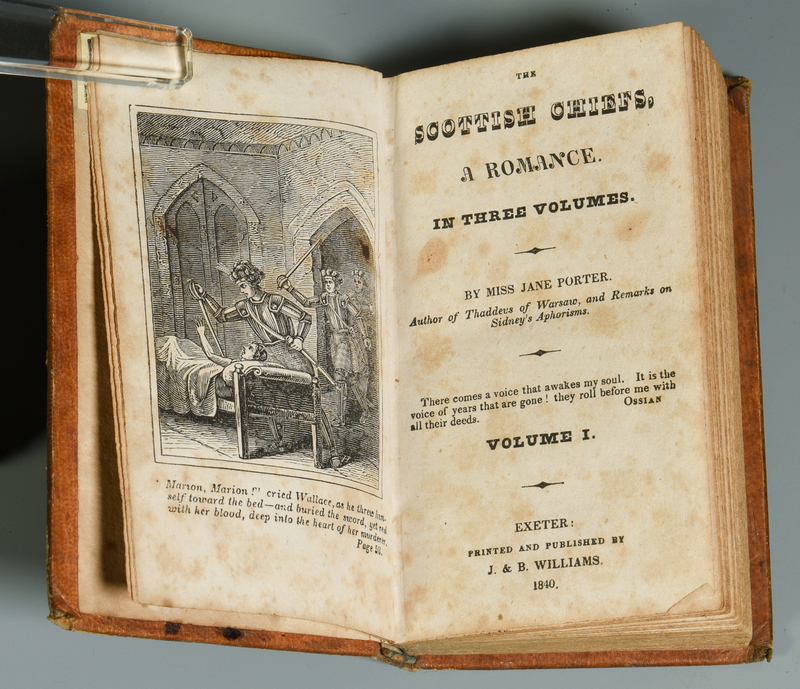 First American edition, condensed to four volumes from the original eight as published in London earlier this same year. Period leather with three hubs on spine. Set retains original red leather spine labels. Marbled page edges. 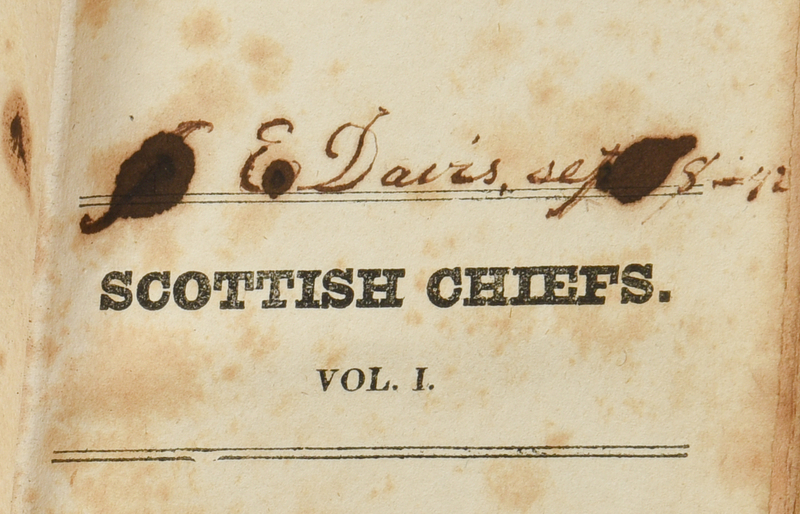 Beautiful engraved frontis portrait of Burns in volume one. Slight foxing. Slight scuffing and wear to original leather boards. Period marbled endpapers. Overall very good condition. Bindings remain relatively tight and sound. CONDITION: Overall very good condition. Slight foxing. Slight scuffing and wear to original leather boards. Bindings remain relatively tight and sound.